You'll laugh. You'll cry. You'll chill. There's so much you can do for Valentine's Day. But let's face it — lots of you are going to Netflix and chill this year (or Prime and chill, or YouTube and chill — really, whatever your flavour). And there's nothing wrong with that. Thankfully, streaming services have plenty of titles that can put you in the mood for this loveliest of occasions. It's not strictly a romantic comedy, but Kristen Wiig and Chris O'Dowd form a charming partnership at the centre of this hilarious movie from "The Office" director Paul Feig. Wiig plays Annie, whose best friend Lillian is going to be married — and she, decidedly, is not. The movie follows her as she struggles with changes in their relationship, from one disastrous situation to the next. It's the movie that introduced the world to Russell Brand, but one shouldn't forget the adorable love that blossoms between heartbroken composer Peter (Jason Segel) and beautiful hotel staffer Rachel (Mila Kunis) while he vacations in Hawaii. Shailene Woodley and Ansel Elgort star as cancer patients who fall for each other after meeting through a support group in this adaptation of John Green's novel. They bond over their favourite books, but neither can ignore their illnesses. 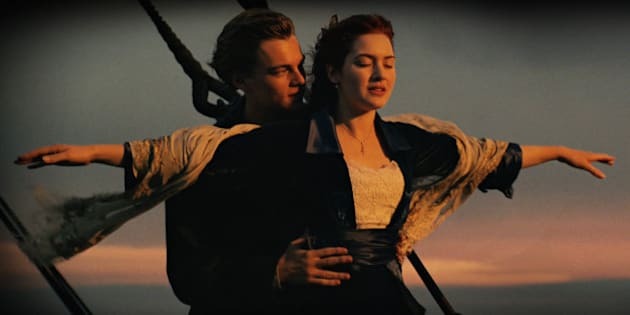 Leonardo DiCaprio and Kate Winslet captured the hearts of '90s teens in James Cameron's epic tale of love aboard the grandest steamship ever built. Rose should have never let go. Spike Jonze's sci-fi tale about a man (Joaquin Phoenix) who falls for his operating system (Scarlett Johansson) can be a tough pill to swallow. But when you see the film, you can't help but be swept away by its gorgeous photography and design, its deeply-felt performances and its commentary on isolation in the 21st century. Wes Anderson's 2012 film about young love is as touching as deadpan can be. A scout and a misunderstood girl run away together, setting in motion a series of zany events that cannot tear them apart.